You know you need Dr. Phil if you’re watching him on Thanksgiving. But if indeed you do tune in, you’ll see a rerun of “Extreme Moms.” One of them is me. I’m on the show as the mom who let her 9-year-old take the subway alone, a fact that will be chiseled on my tombstone. But really I’m there, I think, as a foil for the other moms who worry so much about their children’s safety that they hardly ever let them out of their sight. Literally. Not to give too much away, but it sure felt like Dr. Phil didn’t really consider me extreme. He seems to believe the same thing a lot of us on this web site do: That, given love and preparation, children are usually more capable than we think. Also that we make them less confident and competent the more we try to “save” them from the everyday vicissitudes of life. A middle school here in New York City just gave its sixth graders an extra credit “Free Range” project: Do something on your own that, for one reason or another, you never tried. 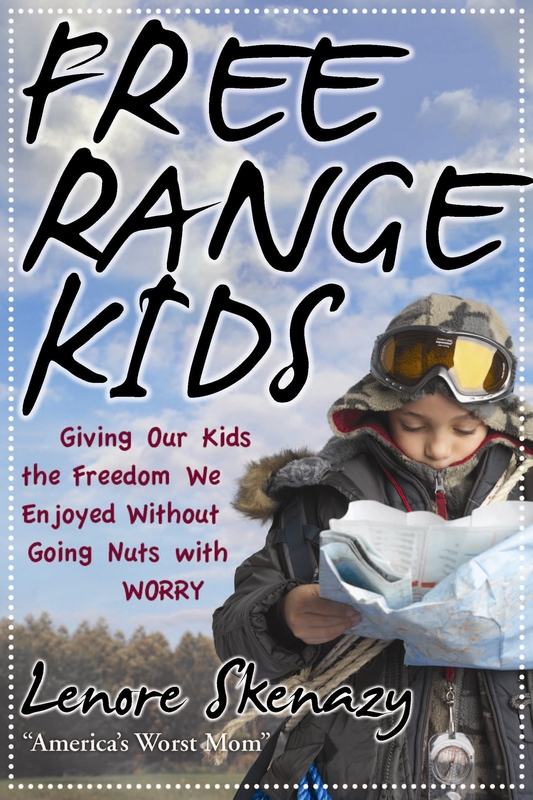 The 11-year-olds jumped into action and did everything from making dinner to baking a cake to walking to school – all the kind of sweet, simple things they would have been doing without a second thought a generation or so earlier. What was different was their trepidation: “I thought they were going to abduct me,” wrote a young man who took the subway solo home from soccer on a Saturday morning. A girl who made herself a sunny side-up egg admitted, “I was scared. I didn’t want to burn myself.” Another boy walked proudly five blocks to and from the grocery only to find out at the end that his mom had trailed him the whole way, through one of New York’s fanciest neighborhoods. She didn’t trust him to make his way safely. In an era when a walking a couple blocks is considered daring for a 6th grader, I guess it’s no surprise that “sane” and “extreme” are one and the same. “I fill a bag with shoelaces and outlet covers, then throw it in my purse.” Why? Because if this mom ever, God forbid, finds herself someplace that has not been baby-proofed, she goes around and does it herself. Oh, don’t mind me, I’m just tying shut all your cabinets and plugging up your outlets. I’m surprised the woman doesn’t walk around with foam rubber to wrap around the lampposts on the way. Now of course, the idea of a kid getting into someone’s cabinet and chugging the Palmolive is very disturbing. But so is the idea that the world has to be baby-proofed. You can’t lock every cabinet and cushion every corner, and I’m pretty sure you shouldn’t even try. At some point – and I do mean point – a child learns: Corners hurt! Steer away! And thus begins a lifetime of trying to avoid careening into things. Same with opening cabinets. It’s a lesson kids need to learn. Once they do, you won’t have to walk around with a bag full of shoelaces. As we contemplate Obama’s win, let’s think about his childhood for a sec. Far from being watched over every second by hovering parents, his dad split when he was still toddling and, for a while, his mom was absent, too. That’s when he was 10 and she sent him to live with his grandparents in Hawaii. Quickie Moral? There’s no one right way to raise a child and even patchwork childhoods can launch a confident kid, an amazing adult. When you find yourself worrying – as I am doing right now – “What if my son has to miss football today because I totally forgot about it and made another appointment?” — remember: It probably doesn’t matter that much. Not for president. For book cover! 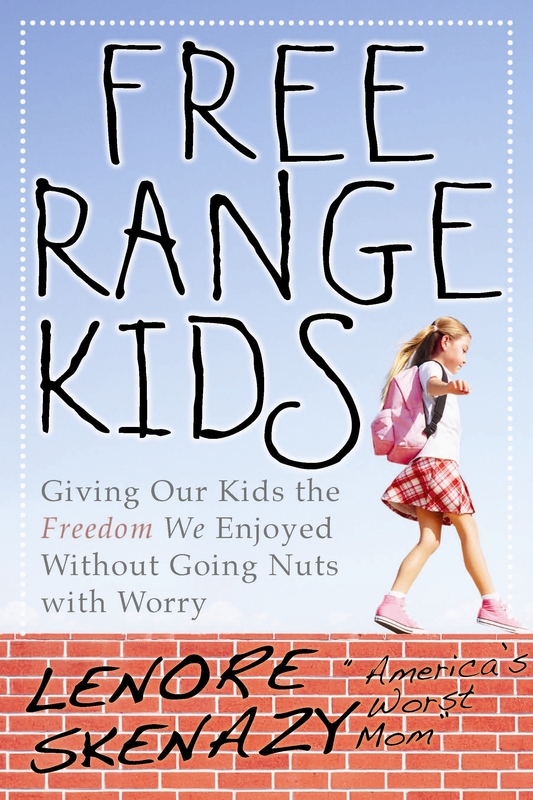 Yes, I’m now writing “Free Range Kids: Giving Our Children the Freedom We Enjoyed Without Going Nuts With Worry,”due out this spring from Wiley. Yay Wiley! The folks there have come up with two potential covers. They wanted to do some test marketing so – here goes. Please let us know which one you like better and, if you feel like it, why. Your vote really matters. Just like in that other election.